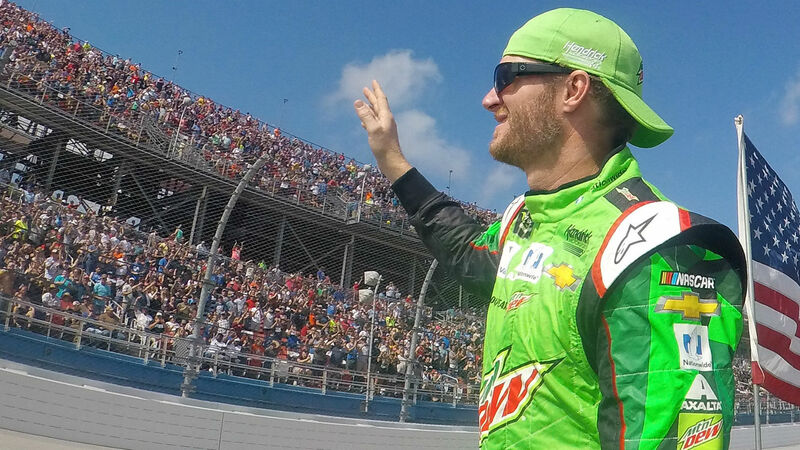 Dale Earnhardt Jr.’s new book details many racing crashes through the years that left the popular driver with concussion-like symptoms. The book, “Racing to the Finish: My Story,” set for release Oct. 16, is co-authored by ESPN’s Ryan McGee, who sat down with Earnhardt for an interview. McGee noted that Earnhardt had sent him extensive notes, going back years, on a number of crashes that left him feeling woozy. “Monday felt dizzy, Tuesday felt drunk, Wednesday felt better, and then the next weekend you’d go out and get a top-5 finish,” McGee told Earnhardt. “It was like therapy for me, keeping those notes,” Earnhardt said. “It was the only place where I could really be honest about how I felt. But that also really made me worse in the long term. Because what I know now that I didn’t know in 2014, ’15, ’16 was that whole time, the stress and anxiety of keeping it all a secret, the chemistry that comes with those emotions, it made my symptoms way worse. “I wasn’t going to make any moves. My only move was to stay safe,” he wrote. “That was my whole goal. Don’t get hurt. Not again. Earnhardt, who is now an analyst on NBC’s NASCAR coverage, urges any drivers who are suffering in silence to contact him.